The Humanitarian Mechanism was launched in 2017 to improve access to vaccinations for people caught in emergencies. To date, it has only provided access to PCV. 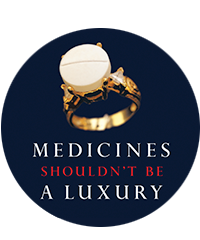 We urge pharmaceutical companies to participate in the Mechanism by making their vaccine products available for people in crisis at the lowest global price. Additionally, we urge WHO to develop improved strategies for vaccinating people caught in crisis, and to better promote existing WHO guidelines on vaccinating in emergencies. In 2015, Member States adopted resolution WHA68.6, which highlighted the barriers faced in introduction of new vaccines due to unaffordable prices. We are dismayed to note that the SAGE report does not explicitly refer to this resolution, nor does it provide an assessment of progress toward the actions requested by Member States. We call for full implementation and monitoring of WHA68.6, which would play a major role in lowering vaccine prices and improving coverage. Positively, there has been a significant increase in availability of vaccine price information through WHO’s Vaccine Product Price and Procurement (V3P) initiative. We encourage all Member States to share vaccine data with the initiative to increase price transparency for use in governments’ procurement negotiations.